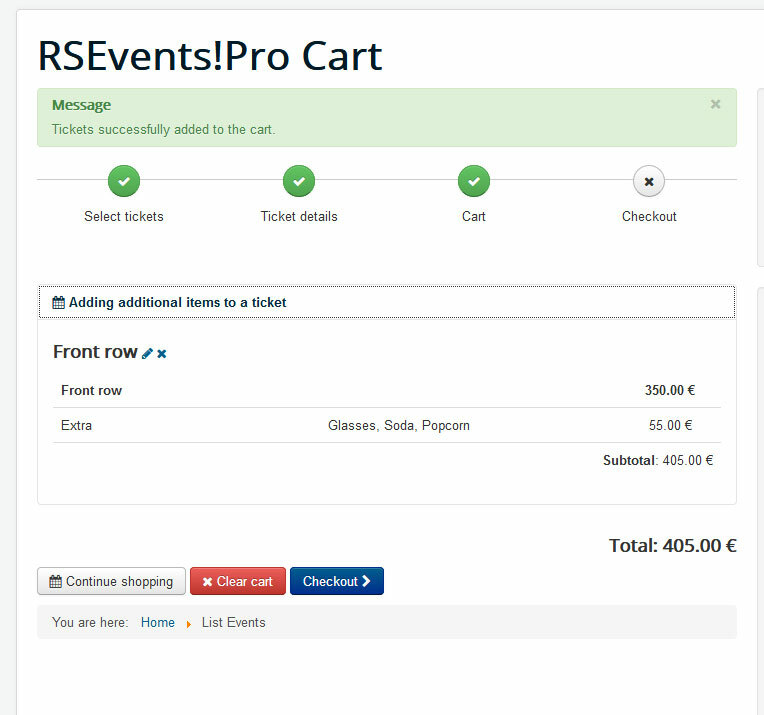 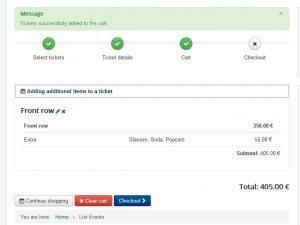 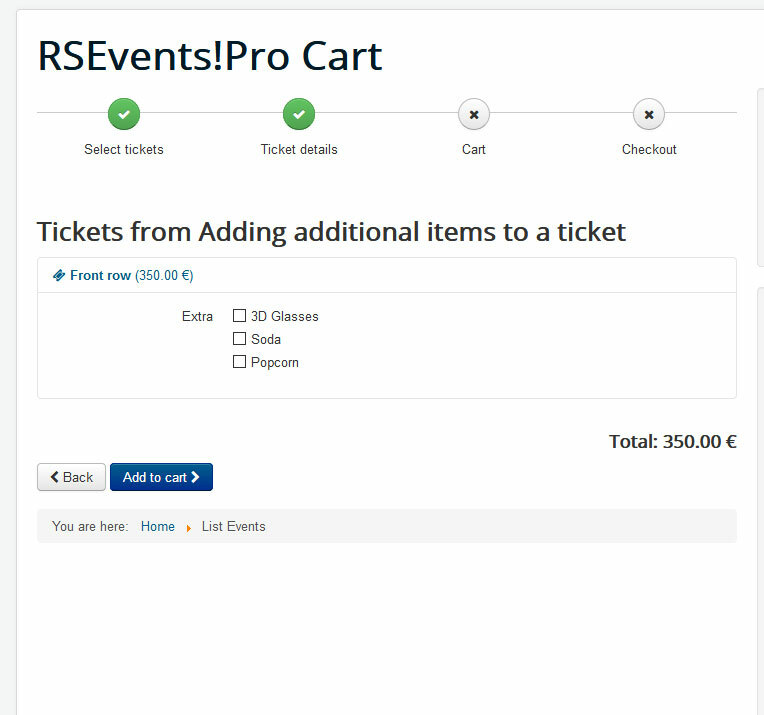 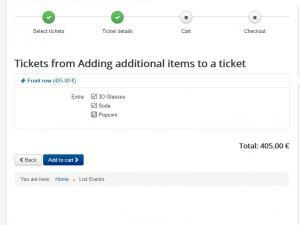 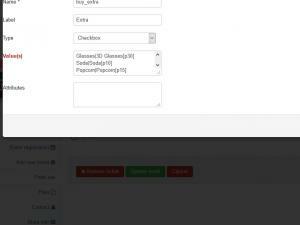 In this article we will show you how to add additional items and costs for the existing tickets on the event registration process using the Cart plugin, assuming that you already have a ticket (or more) users can choose from. 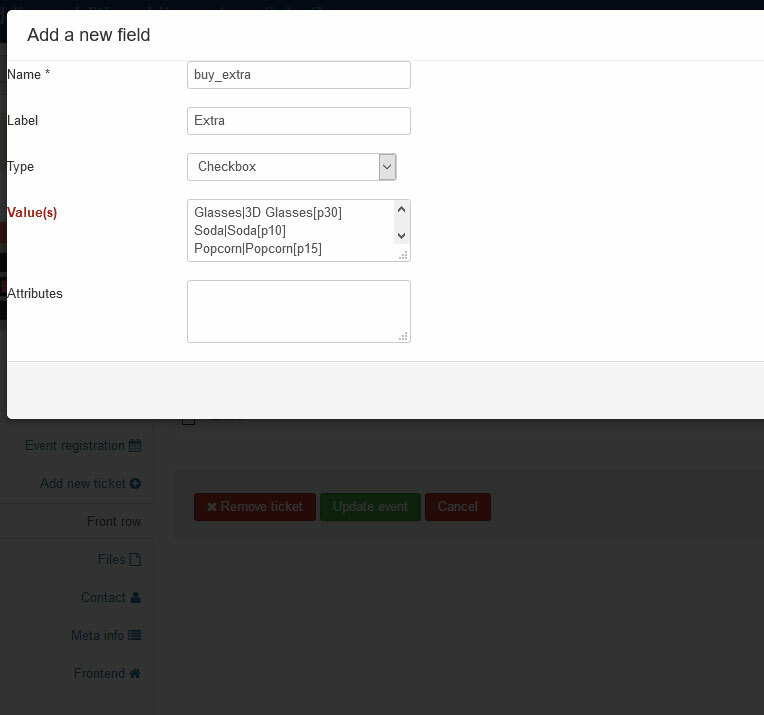 We are using the [p] syntax with the numeric value inside the square brackets to specify a price for a selection. All you need to do now is to Join the event, select your tickets and either choose extra items (if these are rquired) under the Ticket Details area, or proceed to the Checkout part, if selected, these will be applied to the total amount, as ilustrated below.